Ok, so it's been awhile since my last blog. I have to admit, it has been a little busy here. My husband moved his office closer (right here in town) and JTB renovated the space and made it fantastic! I spent a little time helping pick out cabinets, appliances, carpet, paint and it now they are up and running. 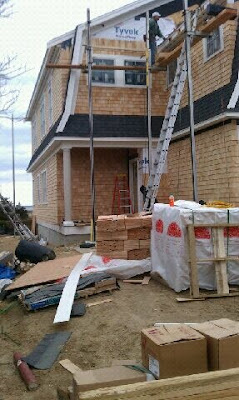 The cape house has been moving along, but not without a little drama....the transoms for the sliders arrived and were completely wrong. The grills didn't line up and lets just say the Andersen rep was less than helpful. On the humorous side, read today's quote. I couldn't make that up if I tried. Needless to say, the right transoms should be arriving soon. The siding is going on- the garage door is on order and I am in love with the plumber and electrician. Seriously.....these guys could not be nicer. We are making some (ok, a lot) of choices on the fly and they are bending over backwards to accommodate me. Larry (plumber) from Law Plumbing and Heating solved a design dilemma today in the master bath and Paul (Cacciola Electric) has been great in helping me figure out (with Robin, see below...)where I should put floor plugs, wall plugs, sconces, pendants, how many recessed lights- ect......) I changed my mind several times on placement and he handled it with ease. Paul and Larry also helped get Joe's new office up and running in a hurry - great guys! 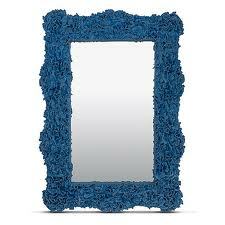 She found so many fabulous things....here is a little sample- here is the powder room mirror- it is blue coral- so fun.... white wall, blue accents-----perfect, yes? ok- how about these little beauties flanking a console in the study? 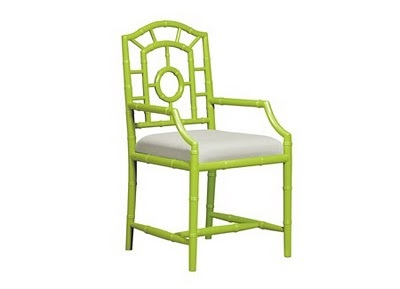 Color scheme- white slipcovered couches soft blue club chairs- touches of bright green- fabulous! You and Robin sound like an unstoppable force on your path towards a breathtaking Cape House! 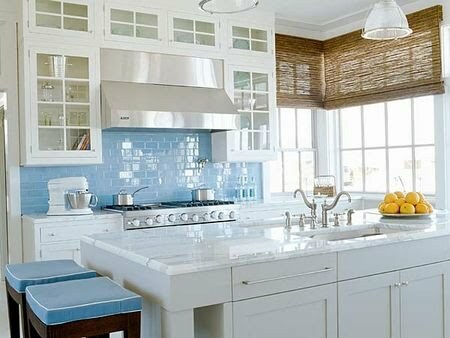 I love the tiles! The mirror is soooo fab and the chairs are super fun.